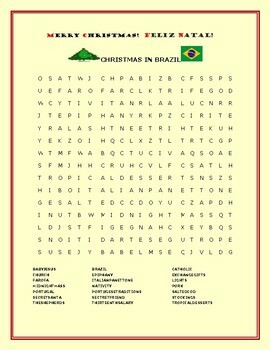 This word search has some interesting facts about the Christmas holiday in Brazil. Brazil has a multicultural population, so there are many wonderful things to do on the holiday. Merry Christmas, everyone!